Hey guys! 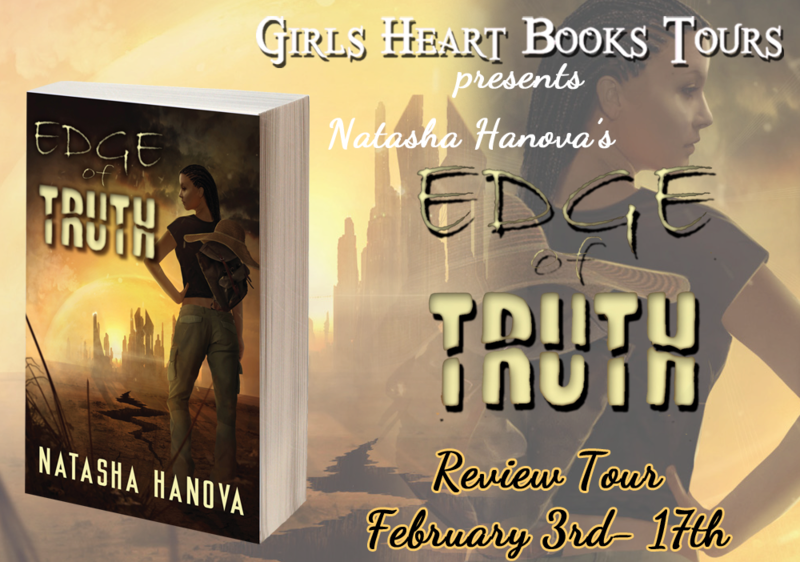 Welcome to my stop on the Edge of Truth Blog Tour hosted by Girls Heart Books Tours. Click here for the full tour schedule. Citizens who report to work on time, obey the Overlord's laws, and stay off the Synbot's radar, live long lives. Long, dull, monotonous lives. It's not a bad plan for someone with a hidden, emotion based ability to trigger earthquakes. In a world pitted against her, sixteen-year-old Rena Moon strives for a life beyond working herself to death at the factory. Seeing an alternative, she risks selling relics from the forbidden lands at Market. It becomes the worst decision she ever made. Someone kidnaps her best friend in exchange for the one thing that would end her oppression. Driven by loyalty, Rena and seventeen-year-old Nevan Jelani, soulful composer, green thumb extraordinaire, and the secret love of her life, plot to rescue her friend and reclaim her salvage. Still, the thought lingers whether Nevan is a true hero or another thief waiting for his chance at her loot. Events spin wildly, deepening Rena's suspicions and pushing her limit of control. With more than her chance for freedom at stake, she must decide if she's willing to kill to protect what's precious to her. For once, the Overlord isn't holding all the power, but can Rena live with being reduced to what she's trying so hard to escape? I'm always ready for a terrific dystopian novel, and EDGE OF TRUTH definitely did not disappoint. This was a novel I couldn't put down, and so I happily lost sleep reading it - well worth the lost sleep! The characters, the plot, the world building...everything was written and set up well to create an attention grabbing read! Rena lives in Hollowcrest, ruled by the Overlord, and where enforcers called Synbots keep close watch over the people to make sure they follow all of the laws. Rena mentioned so many it's a wonder she can remember them all. She's what I would consider a dreamer, which is just one of the reasons I loved her so much. Dreaming of a better world where people are no longer under the oppression of the Overlord and his minions, her loyalty, bravery, and genuine upbeat personality are what gets her through everyday. One of the most interesting aspects of this story for me was the introduction of people known as "Others" - people who possess special abilities. Rena is an Other. I've never read a dystopian novel with characters who have unique abilities, and I thought it worked well in this story. She can feel the earth and has to control her emotions to prevent herself from setting off an earthquake, which would reveal her to the Synbots and Overlord. That was difficult for her because she can't just shut off her emotions, and she feels everything so thoroughly. Rena has an awesome best friend in Blaze, although at first at she was a guy because of her name, which I love by the way. Blaze isn't quite as brave as Rena, and she seemed to accept their situation. She doesn't want to rock the boat and does her best to talk Rena out of breaking any of the codes with her adventurous nature. Ah Nevan! I could probably stare into his eyes all day with the described colors - one eye is blue, the other hazel. Nevan and Rena begin as friends, and their relationship is natural. I can't describe it any better than that. The progression is natural, and I really appreciated there was no instalove. Rena has had a crush on him for a while, but it's sweet and believable - girls have crushes. EDGE OF TRUTH is an imaginative and well written novel, and I hope there will be more of Rena! I love her to pieces. Hanova's debut novel is impressive, and I look forward to her future novels! 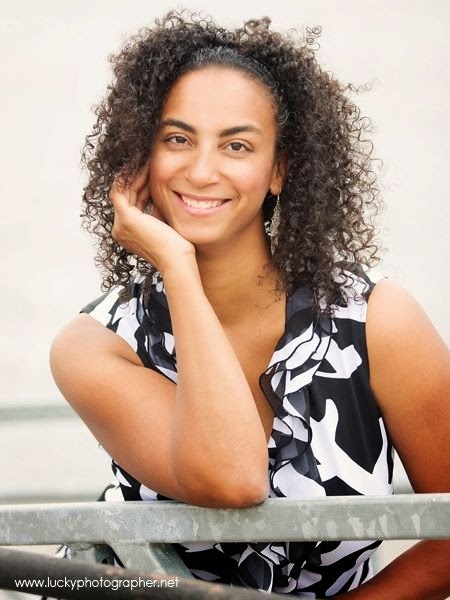 Natasha Hanova is an award winning author of young adult and adult dark fantasy/paranormal fiction. 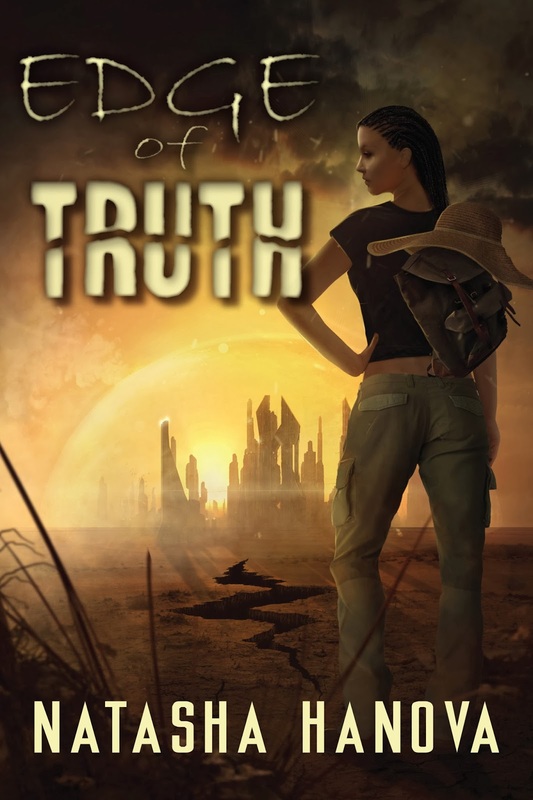 Her first novel, EDGE OF TRUTH, a YA dystopian, is now available from Sapphire Star Publishing. Thanks so much for dropping by WV Stitcher and following, I really appreciate it! You make Edge of Truth sound like a very worthwhile read. I am anxious to look around your blog to find some more great book recommendations. Have a fantastic week! Edge of Truth sounds awesome, Jennifer! I love dystopian novels, and I am always looking for a good one I can add to my collection :) Thanks for sharing! Leave a comment and make my day awesome! :D This is an award-free zone - thanks for your consideration though! Winner of My Two Year Blogoversary Giveaway! Think Out Loud #29 ~ New Color! The Nycren Release Day Blitz!